Meinl Vintage Goat-Skin Wood Tambourine Two Rows Brass Jingles Walnut Brown 10 in. MEINL is bringing old school tambourines back. These specially designed jingles produce the legendary sound that was familiar a long time ago. 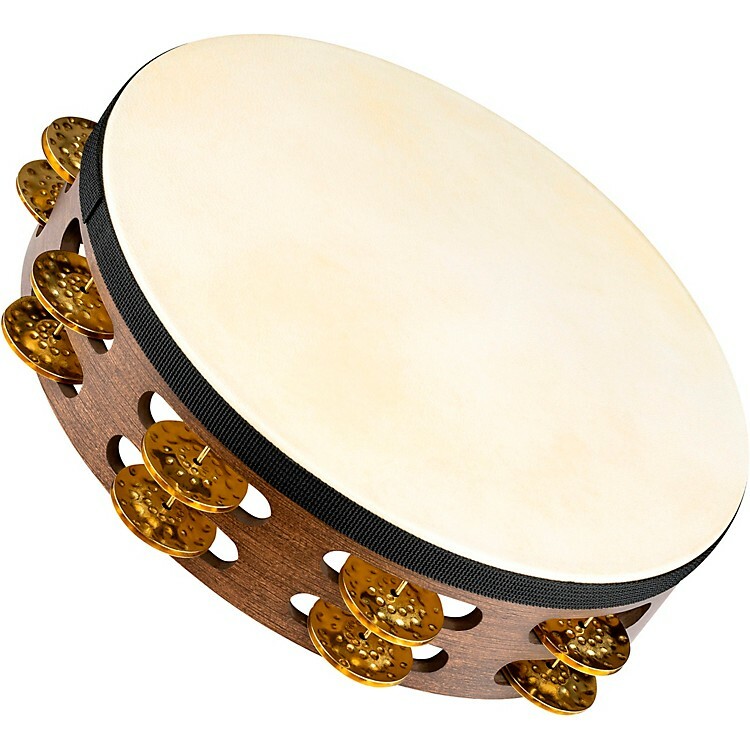 These 10" tambourines are equipped with the best quality goatskin head. ?